The Andaman Islands located in the Bay of Bengal is one of the highly sought after exotic holiday destinations in the country. With its tranquil waters, sandy beaches and pristine environment, Andaman has won the hearts of both national and international tourists. Famous for the plethora of adventure sports that can be enjoyed in this location, Andaman has carved itself a niche with its scuba diving spots. With great instructors and training schools, scuba diving is an activity which ought to be tried by everyone in this amazing atmosphere. 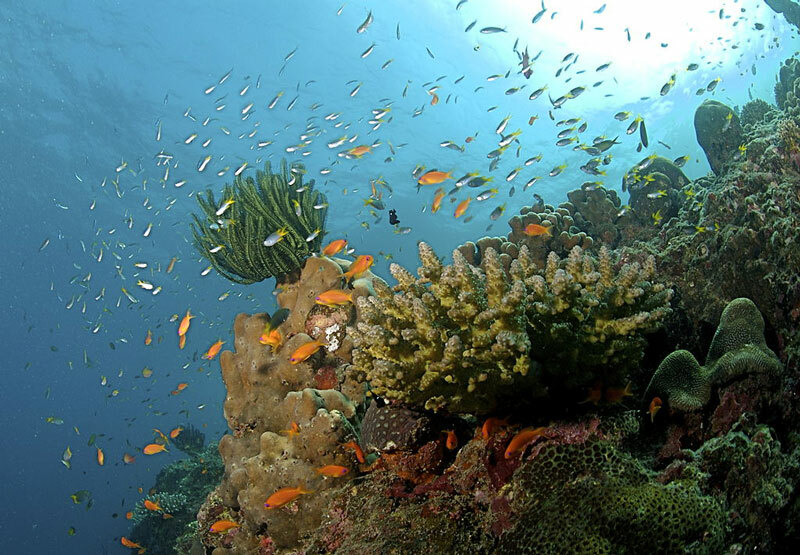 Let’s look into some of the most stunning locations to scuba dive and explore in the splendid location of Andaman. A pristine area, mostly devoid of effects due to human settlements, the Cinque Island is located near the capital, Port Blair. The Cinque Island is a point favored by many to scuba dive, owing to its wide range of amazing aquatic life. With visibility extending upto 70 feet, the corals along with marine life from sponges to the sharks, make the environment to scuba dive a totally vivid one. This area is mostly preferred by people with some experience in scuba diving than beginners with lesser experience. Fish Rock is located along the waters of the Passage Island. Living up to its name, this location has a multitude of boulders, rocks and stone formations in which a wide kind and number of marine life habitat upon. Surgeon fishes, barracudas and barrel sponges are amongst the many underwater species to be explored in this spot. The glorious sublimity of the location adds to the already thrilling experience of feeling free and getting engulfed in the arms of the water which is present all around. The Lighthouse Point is situated near the island of Havelock. Thronged in huge numbers by adventure lovers irrespective of their experience in this sport, this spot is widely famed for offering a chance to scuba dive in the dark. This unique experience is multiplied manifold when done with minimal lighting. With a plethora of underwater flora and fauna like lobsters, lionfishes, hard and soft corals and a medium level visibility range of about 12 meters, this is one of the most perfect spots to explore and unearth the secrets of the eternally secretive deep waters. The K Rock is a dainty spot located near the splendid Neil Island. It contains a huge rock which is volcanic and above which there can be found a multicolored variety of marine life. Some of the species which can be viewed when scuba diving in this spot are butterfly fishes, barracudas, puffer fishes etc. The sandy seabed with its slightly sloping incline, and its mild water currents all add to a totally exhilarating experience for people looking to have some adrenaline pumped into their systems. This spectacular area is located near the Little Andaman Islands. With a huge area of about 4-5 square kilometers to swim underwater and explore around, the Bala reef completes the most amazing of experiences to be felt while swimming underwater. The rainbow colored hue being present all around enhances the ethereal feeling of floating without any restraints and allows us to see quite a mesmerizing collection of aquatic life and the ever spectacular group of corals. With such a multitude of breathtaking spots to explore underwater, the exquisite Andaman Islands is fast becoming one of the top destinations for sport enthusiasts to try scuba diving and other activities. Scuba diving in this location not just provides a greater perspective on the unknown around us, but also pushes us into achieving greater heights while giving us a chance to experience the true rawness of nature. Andaman is the perfect place to experience this soul-stirring sport and to revel in its thrill.